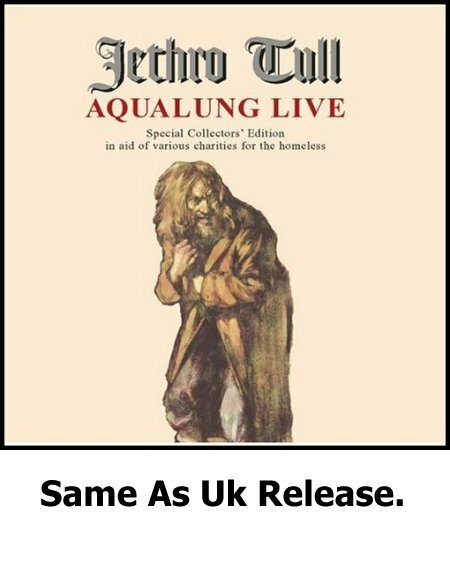 07.03.06 Official U.S.A. Release Of "AQUALUNG LIVE Sold In Aid Of Charities For The Homeless. 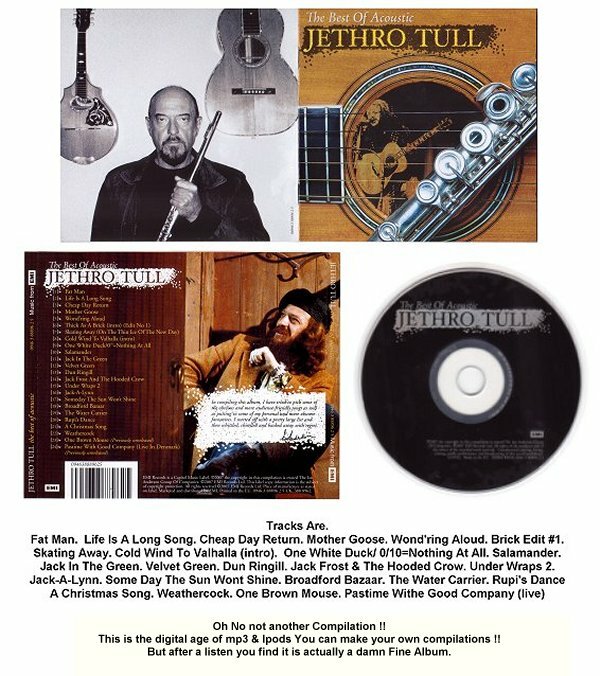 20.10.06 THE IAN ANDERSON BAND - GREENSBURG PA.
12.03.07 Official U.K. Release Of "THE ACOUSTIC BEST OF JETHRO TULL". 28.06.07 RAVENNA - Pala De Andre. 08.09.07 WHAT WE DID WHILE MARTIN WAS ON HOLIDAY. 30.09.07 THE PARAMOUNT THEATER - SEATTLE WA. 15.10.07 THE SANGAMON AUDITORIUM - SPRINGFIELD IL. 08.12.07 THE SAENGER THEATER - MOBILE AL. 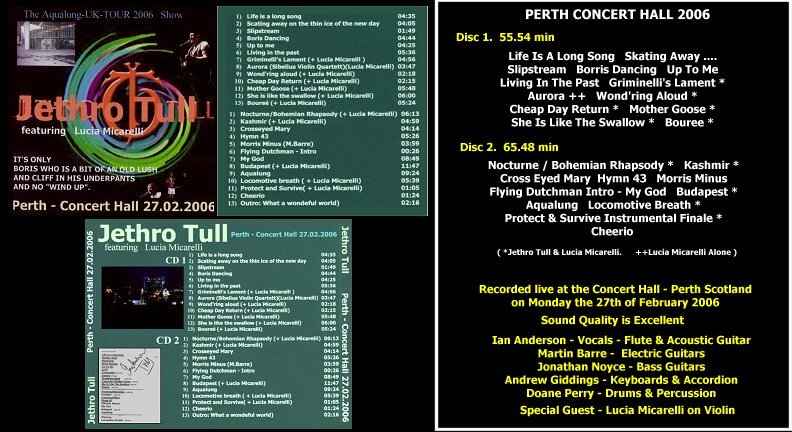 12.12.07 THE RUTH ECKERD HALL - CLEARWATER FL.